Since its beginnings in 2003, METROCON has become Florida’s largest anime convention. For 2016, METROCON had a record-breaking 11,889 visitors attend the Tampa Convention Center for four days of anime panels, cosplay, shopping and events. This year, oprainfall attended for the first time from July 21-24 and was able to both tweet live from the convention floor and interview Laura Post, Robbie Daymond and Eric Stuart. 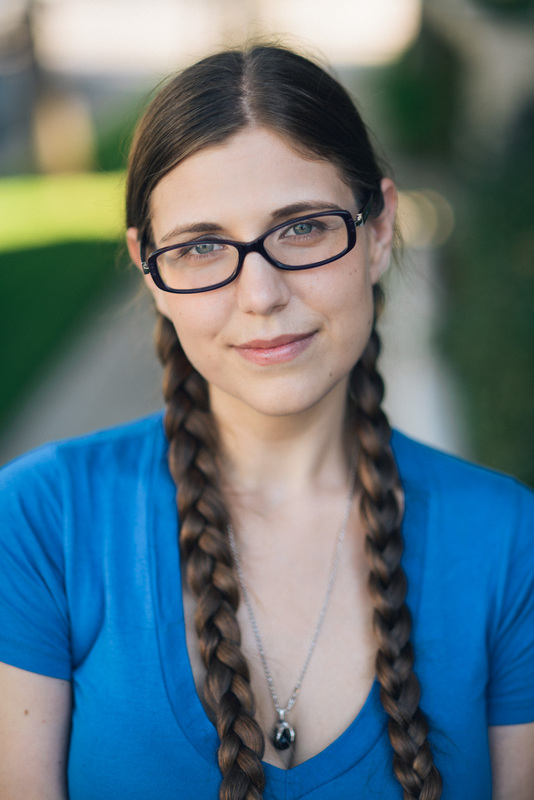 Laura Post is a voice actress who has voiced a variety of roles ranging from Love Live! :School Idol Project and Kill la Kill to the recently-released PlayStation Vita title, Trillion: God of Destruction. I sat down with her for an interview where we discussed her voice roles, how she got into the voice acting industry, and what tabletop games she is playing at the moment. You can follow Laura Post on Twitter, like her on Facebook, and visit her website. You can also find out more about METROCON at its website and follow it on Twitter. The dates for next year’s METROCON are August 3-6, and tickets go on sale on January 1, 2017. Please return Wednesday at 9 AM PT/Noon ET for our interview with Robbie Daymond, and Friday at 9 AM PT/Noon ET for oprainfall’s interview with Eric Stuart! Operation Rainfall: Hello, I am Quentin H. with Operation Rainfall, and you are? OR: What do you do, and what anime and video game series would people most likely recognize you from? LP: I am a voice actress. 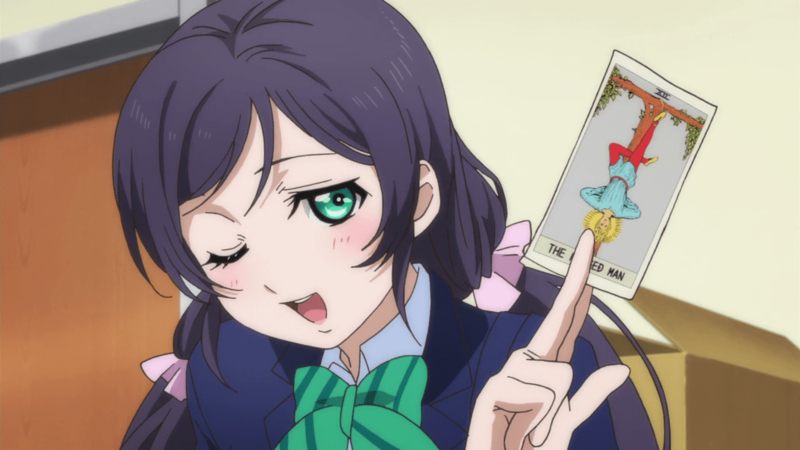 I’m probably most recognized for Nozomi Toujou from Love Live! [:School Idol Project], Diana Cavendish from Little Witch Academia, Ahri in League of Legends, Valentine in Skullgirls and Ragyo Kiryuin in Kill la Kill. And then most recently announced, I play Blizzard in One-Punch Man. But I don’t think people quite know me for that yet. “I really identified with [My Wish episode of Love Live!] because [Nozomi’s] just talking about how happy and grateful she is to have these friends and be a part of this group that means so much to her. OR: What got you into voice acting? LP: Well, when I was a little kid, I realized that the voice of Raphael in the [Teenage Mutant] Ninja Turtles was the same as the voice of Mighty Max in Mighty Max. I know, it was a really random cartoon to make the connection in. Not Yakko [OR Note: Character in Animaniacs!] or any of the other million of characters that Rob Paulsen has voiced, but Mighty Max was the one who did it. And I was sort of that click where you go ‘Wait, there is a human giving the characters voices.’ And I was like ‘I want to do that! That would be the best job ever!’. But I was maybe six or so, so my mom being an awesome mom, was like ‘That’s great, you can do that when you’re an adult.’ She was not going to go get me an agent and try to make me [into] a childhood star – thank you for that mother. I grew up, I watched anime and cartoons. I never stopped watching anime or cartoons or playing video games. And I ventured into the world of musical theater for a while, and then I thought I was going to do computer programming, and [then] I went to my first anime convention and I looked at the program and went ‘Oh my gosh, there are all these panels about voice acting. That’s what I wanted to do when I was a kid.’ That was my second ‘What do you want to be when you grow up’, my first being that I wanted to be Peter Pan. So it was the first possible thing I could be when I grew up. So I went to every single panel and I took notes and then I went home and I went online and I started to do research, and I started to do audio dramas, I got a Chicago agent. I started to do voiceover in Chicago. When I graduated college, I moved to LA to continue pursuing voice over. OR: What convention was that? LP: It was ACEN 2002. Nozomi from Love Live! : School Idol Project. OR: You mentioned that one of your most recent anime projects was Love Live! : School Idol Project. Who do you voice in the series, and what is your character like? LP: I voice Nozomi, and she’s often referred to as the ‘group mom.’ Which I think is sweet. She kind of is the chessmaster in that she subtly orchestrates the entire group getting together. Like, after the first three girls were like ‘We’re gonna do this!’, Nozomi sort of pushes Maki in the right direction to help them out. And then Maki ends up joining. She is critical in getting Ellie to join, ‘cause Ellie is her best friend ever. But I just really love her personally ‘cause she’s just a sweet and caring person. I loved her in the episode My Wish. I really identified with that one a lot because she’s just talking about how happy and grateful she is to have these friends and be a part of this group that means so much to her. For me, it was like ‘I’m so happy to be a part of this show, it means so much to me, and it’s so great to be part of the group.’ So just was a really nice episode to record and I really liked getting to playing her. OR: How did you prepare to play Nozomi? Did you watch any of the original Japanese-voiced episodes before you voiced your character? LP: I watched all of the original series before I recorded the character. I [also] played a game. I don’t know how much that necessarily affects the show, but I do play the game a LOT. I actually read the story mode in the game, and a lot of people skip it or they’ll get the love gem for doing the side quests – But I like actually reading the stuff. It’s cute. So I feel like that kind of gives you an insight into the character, too. But other than that, I would always sing in the car before I would go in to record. Which was double good for warming up the voice and good for getting into that ‘we’re performers and singers’ sort of mode, even though we didn’t do any of the singing, it was sort of a nice attitude-mood booster on the way into the studio. 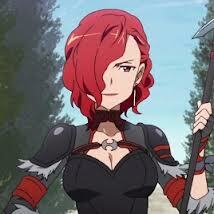 Laura Post also voiced Rosalia in Sword Art Online. OR: What kind of music would you sing? LP: It sort of just depended on what I was in the mood for at the time. Sometime I would sing actual Muse songs. I have a bunch of their singles and albums, so I have all that in my car. But sometimes I just sing musicals, Disney stuff, whatever. But I’d sing it in voice. OR: You said you watched the full series and played the video game before you voiced the role of Nozomi. Do you often do that before you voice a role? LP: I try to. It’s not always possible just for time constraints. Sometimes, there are shows that I had watched, like Sword Art Online – I watched as it came out from Japan before I was ever auditioning for it or cast in it. So it had happened already. So that was before the auditions happened. Some shows, like Kill la Kill, I had watched a few episodes of before I had auditioned. And then when I got the part, I watched the full series because I had the time, and it’s nice to be able to do that research if you can. But sometimes that’s not always possible and that’s when you depend on having a really awesome director, and that [happens] in most of the shows I’ve gotten to work on, if not all of them. [They] are really great directors that are really great about explaining the show and the world and what’s going on in this scene. And, sometimes, they’ll explain these things to you even if you’ve seen the anime in order to make sure [that] we’re all on the same page. So that’s really cool. OR: You mentioned Kill la Kill. In that, you voiced Ragyō Kiryūin. She is a very vain and very powerful [main] antagonist of the series. What was the auditioning process like for that [role]? LP: The funny thing about auditioning for Ragyō was [that] I actually was in the studio for a callback for Satsuki. So I had finished my Satsuki callback, and while I was there, they were like ‘while you’re here, do you actually mind reading for Ragyō, as well? She’s the villain.’ And I [said] ‘Sure.’ So, they got the script, brought it in, and had the video clips there – it was all in the studio since it was a callback. So I read the English and we previewed the Japanese, and then I did the scene. And they liked it, I guess, ‘cause they cast me. [I read] the monologue Ragyō gives at the Grand Cultural Festival when she’s holding Satsuki by the neck and she’s talking about how she’s been forcing junketsu this whole time, but nothing aggravates her more than people who wear clothing that [doesn’t] fit them, and she throws [Satsuki] across the stadium. And that was the scene that I guess got me the part. Ragyō Kiryūin in Kill La Kill. OR: There is quite a difference between Ragyō and Nozomi and how the characters are portrayed in their [respective] series and how they are voiced. Is one easier than the other? Do you prefer portraying one over another? LP: I can’t say I prefer one type of character over another. Every character I am lucky enough to voice is always a treat. Big, small, good, evil, young, old – they all have their own challenges and their own rewards. And that’s great. That’s one of the things I love the most about voice over – the wide range of characters you get to play because you’re not restrained by your body type, your movement, or anything like that. It’s all just the freedom of your voice, your imagination, and your acting. I think it’s just great that I’ve gotten to play such a wide range of characters. Nozomi, Ragyō, Diana, Valentine, and Ahri – all of them. OR: You also voice in video games, as well. One of your most recent roles is from Trillion: God of Destruction. 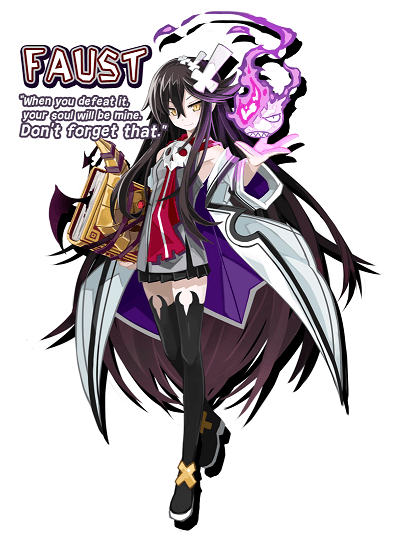 You [voice] Faust, who saves the protagonist Zeabolos and gives him the power to defeat Trillion in exchange for his soul. How did you wind up working with Compile Heart and Idea Factory International? LP: I had worked with Idea Factory on the Neptunia games, so it wasn’t my first time working on a Compile Heart/Idea Factory game. But it just happened that the company doing the localization sent me an audition because I’ve worked with them a couple of other times, and I happened to read for Faust. I read for the characters people would expect me to read for – I read for Ashmedia – but I always like to try to read for some characters some people might not think of me for – like Faust. So I was super stoked when I got to play Faust, because I thought she was the coolest of the bunch. And it was a fun character for me to play. I know the game isn’t widely popular, but I really loved playing it. I’ve beaten it like three times, I’m going to get all the endings, I swear. But Faust was just a super cool character for me to get to play. I really like the stoic [and] quiet seriousness of her character. It was something a little different for me I feel like. I played tough, awesome characters before but she was younger and she had a vulnerable side that I really liked. I really took to the game a lot. It was fun. OR: Is there a difference between voicing for a video game versus voicing for an anime? LP: There is. In the video games, you don’t have the luxury of previewing like you do in anime. In anime, you get to watch the line delivered in Japanese before you perform, because you need to match timing. In video games, you don’t have the luxury of getting to see a preview. You also don’t have the luxury often of getting to see the other lines around your lines. You don’t have a full script like you do for anime. You have your script, which has just your character and everything you say without any context. So you have to really rely heavily upon the director to make sure you’re doing it right given the context. Sometimes, you’ll get other character’s lines for a story mode scene, but often you don’t. That’s one of the challenges of video games. But one of the nice things is [that] you have a little more freedom over your timing as opposed to anime, where you do need to match those lip flaps or it won’t look good. Faust from Trillion: God of Destruction on PlayStation Vita. OR: What video game or anime series would you like to be a part of if you could? LP: I would love to be in a Final Fantasy game. I love the Final Fantasy series. If I had a chance to play – if they were doing old ones, I would love to play either Quistis [Trepe] from [Final Fantasy] VIII or Celes [Chere] from [Final Fantasy] VI. Those are my two – I can’t pick one of the two of them – they are both my favorite. Or I would just love to be a new character in a new game, like Final Fantasy XVI, let’s do this! But yeah, it would be really cool to be in a Final Fantasy. OR: Which [Final Fantasy] is your favorite? LP: My favorite is [Final Fantasy] VIII, followed closely by [Final Fantasy] VI. OR: What are your upcoming projects that you can talk about, if any? 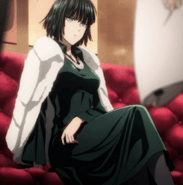 LP: There’s One-Punch Man, where I play Blizzard [OR Note: Also known as Fubuki] . She [doesn’t have] a huge role in Season One, but she’s a big character in the web comic. So, who knows, maybe, I’ll get to do more. But I really like her and I really like the show, so I’m just grateful to be on it at all. There’s also – this is just a small pilot through Frederator Studios, but it was really fun to do, and they said I’m allowed to talk about it – so I guess I can talk about it. It’s called Lunchbox of Doom [OR Note: This is an episode from GO! Cartoons]. It was really fun to get to work on that. It was comedy – you know, [it’s] Frederator Studios. The creators were super cool and it was fun to do a comedy for a change. I do a lot of heavy characters or serious stuff, so it was a good experience and I can’t wait for it to come out [so] I can share it with everybody. OR: What tabletop games are you currently into? LP: I love Avalon. That’s one of my favorites. It’s just a fun game to play with friends. I also – this is like old school, but I really love Clue. If I can find someone willing to play Clue with me, I’m so happy. Because most of my friends are like ‘Really, Laura? Clue? We have all these amazing games, and you want to play Clue?’ And I’m like ‘Yeah, I do. I wanna know who killed Mr. Boddy, let’s do this!’. I also play Pathfinder in the Dungeons and Dragons world. I’ve played some Pathfinder. Kind of in-between campaigns right now. I still play Magic: The Gathering – I love Magic: The Gathering. I love Betrayal. That is [a] super fun game. And I love Werewolf. Werewolf’s easy, especially One Night Ultimate Werewolf, because its even easier. And by easier, I mean harder, shorter. OR: To wrap it up – What advice do you have for someone wants to become a voice actor or a voice actress? LP: If you want to voice over, start doing voice over. It’s not a whole lot to stop you from buying a cheap mic, hooking it up to your computer, and starting to learn your own voice. Learn your instrument, get familiar with reading out loud. And these are things you can even do without being in a project or having a script or even having people necessarily listen to it (although you will want people to listen to it eventually). But that means you have to put in the hours to get excellent first. So, if I could only give one piece of advice, that is my advice to anyone who wants to get into voice over: Just start doing voice over. OR: All right, Thank you. A special thank you to METROCON for arranging the interview. Tickets for METROCON 2017 go on sale January 1, 2017. What is your favorite role that Laura Post has voiced? What is your favorite tabletop game? Let us know in the comments below!